While I’ve made announcements to many people about my departure from the Historical Society of Pennsylvania, I have not shared this news with you, readers of Fondly, Pennsylvania. Since blogging about archives at HSP moved forward because of my desire to see it happen, I feel a deep attachment to the community of readers we have reached through our efforts here. I have been delighted to see how hungry people are for information about our collections and about our behind-the-scenes view of the work of archivists and conservators. When I began the Chew collection blog in February 2008, I had no idea that people would care at all what we were doing, but I had hopes that it would help to publicize the collection and the work that we do on collections generally during processing. The response was amazing, and encouraged me to broaden our view after that project was completed. We all wanted to show more generally what happens here in archives and conservation, and I think this blog has been a great success so far. I am sad to leave it, but am confident that the rest of the archives and conservation staff will nurture this space and develop it even further. After nearly three years at the Historical Society of Pennsylvania, tomorrow is my last day as Project Archivist on the Digital Center for Americana project. I am handing over my duties to Dana Dorman, who is already proving to be a valuable addition to the HSP Archives staff. I am working on finishing up the Jay Cooke papers, which I sincerely hope will be described in draft by the end of tomorrow afternoon. The collection is rich, and it deserves much greater attention than I have had time to give it, but I hope that the new finding aid will at least provide deeper insight into the Cooke papers and offer researchers greater access to this important collection. So, you may ask, what will I be doing after HSP? I am moving to Portland, Maine to take a job at the University of New England. I have been appointed as the new Curator for the Maine Women Writers Collection. When I saw this position posting, I realized that I simply had to apply for it. My background in English and Women’s Studies, as well as my own work as a poet, make this job quite attractive for the ways that it promises to engage my passions and intellectual interests. I am sure there will be digital projects in the Collection’s future–maybe even a blog–but that will be determined when I get up there and get my feet on the ground. I am very excited to be working with an amazing group of archivists, librarians, and scholars, and to have the opportunity to expand my vision beyond single collections. It will be a new challenge, and a new adventure. I have been extremely privileged to work with some wonderful people here at HSP, and to have the opportunity to dig into the rich history of the Delaware Valley. I have touched some incredible documents and learned a great deal about the political and financial history of this region. All of these experiences have prepared me for this new work to come, and so I offer my thanks to Matthew Lyons and Cary Majewicz for having the faith in my abilities to hire me as project archivist on the Chew Papers project. I grew tremendously as an archivist over the past few years, and I hold many fond memories of my time here. With that, I bid you all farewell, from this desk, at least. Thank you for reading and for supporting our work here at HSP. What use is a blog? Spurred by a spate of positive comments about, first, the Chew blog and now Fondly, Pennsylvania, I have been thinking a lot about how readers use the information they gather from following our blog offerings. I was really pleased to know that Seth Bruggeman has been using our blogs in his Public History and American Studies classes at Temple, and equally excited to have Timothy, one of Seth’s students, blogging with us here. I know that several other professors have used the Chew blog in their history courses, and I recently heard from Matt Herbison that Susan Davis has also used the Chew blog in her archives courses at Drexel. All of this leaves me cheering. I have connected with other archives bloggers about what they’re doing, and it has helped me to shape my ideas about how to use this valuable resource. This whole digital community idea seems to be unfolding beautifully. The only part missing is direct feedback from users. How do we know what will mean something to you, our dear readers? How can we keep you reading along? How can we serve up the most interesting, tantalizing behind the scenes views from our shop? I guess, in many ways, this is always the problem with information management. We provide many tools to our users, but it is sometimes difficult to know which ones serve them best. So we do user studies or solicit feedback from our patrons. Or we just guess. Up until now, we’ve just been guessing here at the Historical Society of Pennsylvania. We’re putting out the stories of what we’re doing, and people seem to be reading along, but we don’t really know why. Is it because we have a nice look about us? Do you appreciate our sometimes serious, sometimes silly approach? Or is it really the collections that grab you? What pleases you? I would love to hear from you–any and all of you–about how you use our blogs. Please leave us a comment to tell us what you love, what you wish there were more of, and even what you could really do without. Tell us what you do with the information you gather here–is it sheerly for pleasure? 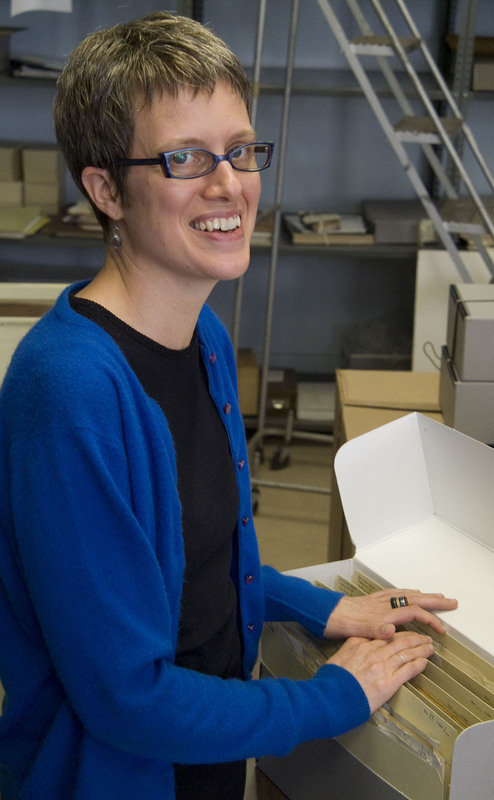 Are you an archivist, conservator, or historian who likes to keep up with the field? What use is this blog to you? I would especially encourage those of you who were followers of the Chew blog and have now migrated to Fondly, Pennsylvania to respond. I really look forward to hearing from some of you. Thank you for reading, and for your thoughtful feedback.